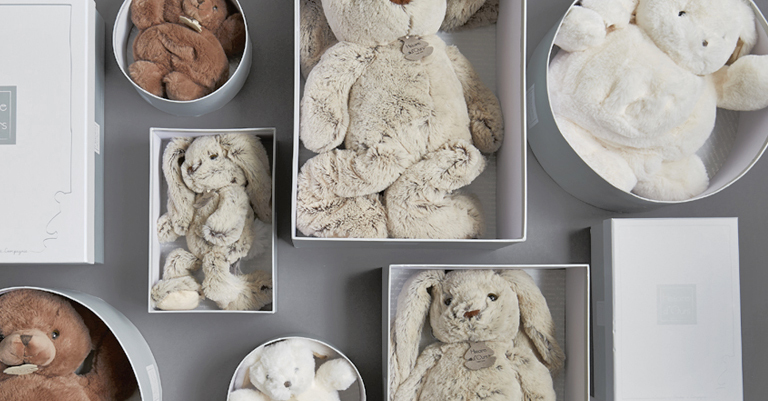 Histoire d'Ours has over many years designed the most beautiful teddy bears for children for all ages. The teddy bears are very soft, luxurious and in the highest quality. First you get hands on them, you really don't want to give them away. With such a teddy bear you get a best friend, who follows you throughout the life. Several of the teddy bears get delivered in the finest boxes, which is the perfect maternity gift that surely will wake a lot of enthusiasm.